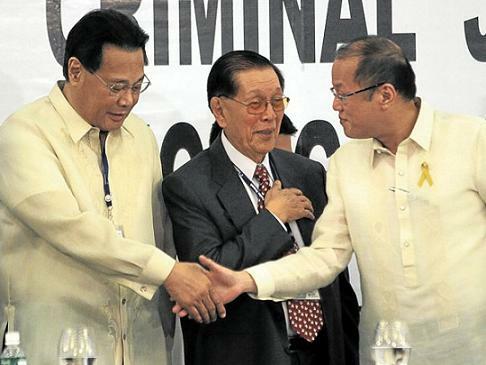 Aquino is overstating the people’s gains from the conviction of Corona. Obviously, he is doing so to conceal his own agenda in pushing for the ouster of the former Chief Justice from the Supreme Court (SC). Contrary to Aquino’s declaration, the guilty verdict could not be simply translated as the triumph of justice over injustice or the victory of the righteous over the corrupt. For all their “daang matuwid” rhetoric, Aquino and his Liberal Party (LP) have their own selfish political and economic agenda in the conviction of Corona. One is control over the Judiciary. For every faction of the ruling elite that comes to Malacañang, the first important task is to consolidate its political power. From the onset, Aquino and the ruling LP have displayed control over the House of Representatives (HoR), proof of which were the swift impeachment of former Ombudsman Merceditas Gutierrez in September 2010 and Corona in December 2011. (Gutierrez resigned in April 2011 even before the impeachment trial at the Senate could begin.) Another Arroyo appointee, SC Justice Mariano del Castillo, is also facing impeachment at the HoR. After an overwhelming 20-3 conviction of Corona, it appears that even the Senate is also heavily influenced by the Executive. With Corona now out of the SC, Aquino can appoint his own choice of Chief Justice. The chilling effect of the ouster of Corona and the pending impeachment of del Castillo on other members of the High Court, particularly the appointees of Arroyo, ensures effective control by the President over the Judiciary. Right now, Aquino has three appointees in the SC – Ma. Lourdes Sereno, Bienvenido Reyes and Estela Perlas-Bernabe. It is important for Aquino and the LP to make certain that the Supreme Court will toe Malacañang’s line for a variety of reasons. Politically, the biggest reason is the continuity of the LP reign when Aquino’s term expires in 2016. As noted by columnist Rigoberto Tiglao, key to this is the presidential ambition of LP chief Mar Roxas, who ran but lost as Aquino’s running mate in the last polls. Roxas has filed an electoral protest against Vice President Jejomar Binay before the Presidential Electoral Tribunal (PET), which is also the SC. To boost his chances of clinching the presidency in 2016, Roxas needs a much high profile role, so don’t be surprised if we soon find him sitting as the second highest official of the land. The PET is now being chaired by acting Chief Justice Antonio Carpio, who founded the notorious “The Firm”, which serves as Roxas’ counsel in his poll protest. Corona had identified Carpio, who had also wanted to become Chief Justice but was ignored by Arroyo in favor of Corona, and The Firm as one of the forces behind his impeachment. Meanwhile, for Aquino, the ouster of Corona is sweet revenge for the latter’s role in the SC decision to dismantle the Hacienda Luisita. With the clear message sent to SC members by the removal of Corona, there is a very real risk that the High Court might soon undermine the favorable ruling obtained by the Luisita farmers and farmworkers. Of particular concern is the possibility of reversing the decision of the SC to peg the payment at 1989 valuation and not the 2006 level being sought by the family of the President. Aquino himself has expressed publicly that his family deserves “just compensation” for Hacienda Luisita. Note that when the SC decided the issue on just compensation, the result was a very close 8-6 in favor of the 1989 valuation. Note that among the six Justices that sided with Aquino’s family were Aquino’s appointees (Sereno, Reyes and Bernabe) plus del Castillo, who as mentioned is facing impeachment at the HoR. Incidentally, since the impeachment complaint was filed against him in February, del Castillo has already voted twice in favor of Aquino. One is on just compensation in relation to Hacienda Luisita. The other is on the issue of Corona’s dollar accounts, where the SC issued a temporary restraining order (TRO) to prevent the Senate from examining the said accounts. Del Castillo along with Aquino’s appointees (except Reyes) and Carpio voted against the TRO. Aquino claimed that had the ousted Chief Magistrate succeeded in allowing Arroyo to flee last year, the former President and now Pampanga congresswoman will just wait out the prescriptive period on the filing of charges against her to expire. It will be remembered that Arroyo tried to go abroad supposedly to seek medical treatment but was prevented by Department of Justice (DOJ), which also ignored the SC TRO on its travel ban. But Aquino should be reminded that that it was his administration’s failure to promptly file the necessary cases against Arroyo that opened up opportunities for Arroyo’s scheme to leave the country. For more than 500 days, not a single case was filed by the Aquino administration. And when it was forced by the aborted escape of Arroyo, it lodged the weakest case – electoral sabotage in relation to the 2007 polls. Now, there is even a danger that the court hearing this case will grant Arroyo’s petition to file bail after government prosecutors admitted that two key witnesses were supposedly missing. One of the missing is said to be the “star witness” who can pin down the former President. This is yet another indication how the Aquino administration is bungling the cases against Arroyo. Aquino’s sincerity to really go after Arroyo, her family and allies for plunder, electoral sabotage and human rights abuses has been questioned repeatedly. And despite the conviction of Corona, such doubt remains considering how the Aquino administration has been handling the issue of Arroyo’s accountability. During the impeachment trial, for instance, the LP-led prosecution team diluted the issue of Corona’s collusion with Arroyo and focused on pounding the questionable Statements of Assets, Liabilities and Net Worth (SALNs) of Corona, which in the process also underscored the two-facedness of Senator Franklin Drilon, Congressman Niel Tupas and the rest of the noisy LP stalwarts who spearheaded the impeachment campaign. Meanwhile, Aquino has remained mum on the issue of the anomalous 2004 elections (the “Hello Garci” scandal), where Arroyo’s role was more prominent. It has not filed any case on the atrocious human rights violations committed in the name of Oplan Bantay Laya (OBL), the notorious military campaign of the Arroyo regime. It has not filed any case on the various corruption cases involving the Arroyo camp such as the botched $329-million NBN-ZTE deal. Aquino’s claim that the conviction of Corona proved that genuine change can be achieved is exaggerating the gains of the people from the impeachment trial. The road towards real reforms that will truly benefit our people remains obstructed by the narrow and self-serving economic and political agenda of those who wield power. The guilty verdict does not in any way automatically assure that Arroyo and her cabal will be punished for their numerous crimes against the Filipino people in the nine and a half years that they held power. It does not in any way mean that systemic graft and corruption in the bureaucracy that have been draining the country of much needed resources for economic development and provision of social services will finally end. It does not mean that the judiciary has been totally cleansed of crooks in robes that would merit the return of public trust in our courts. The poor still remain disadvantaged under the flawed justice system, which will continue to favor the rich and powerful even after Corona’s conviction. Sa presinto pa rin magpapaliwanag ang mahihirap at magpapalusot pa rin ang mayayaman. Genuine and deep-seated reforms, to be sure, are not done overnight. Certainly, the ouster of Corona does not immediately translate to the political and economic changes that the people have long been aspiring and fighting for. But it is important to put the conviction of Corona in the proper perspective and reject the illusion and lies being peddled by Aquino and his spin doctors.